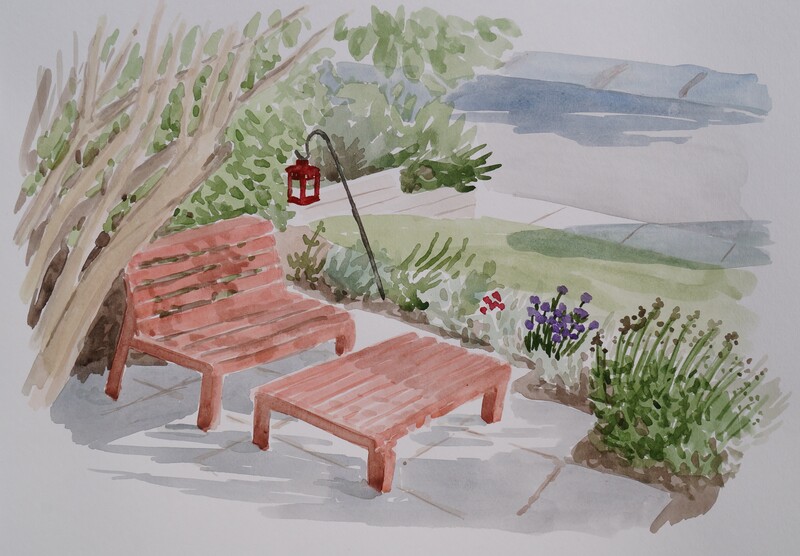 This is the July 3rd painting–a very quick study of the patio. I had come home from an evening shift and I didn’t start the painting soon enough–the light was gone before I was finished. I was focussing on all the evening light and shadows so as soon as the light was gone it was a very different looking scene. I decided to leave it as a quick study then try to change the painting. Though the more I look at it now, the more I like it.